The Basketball Schedule Sports Magnet comes with all pro sport team schedules. 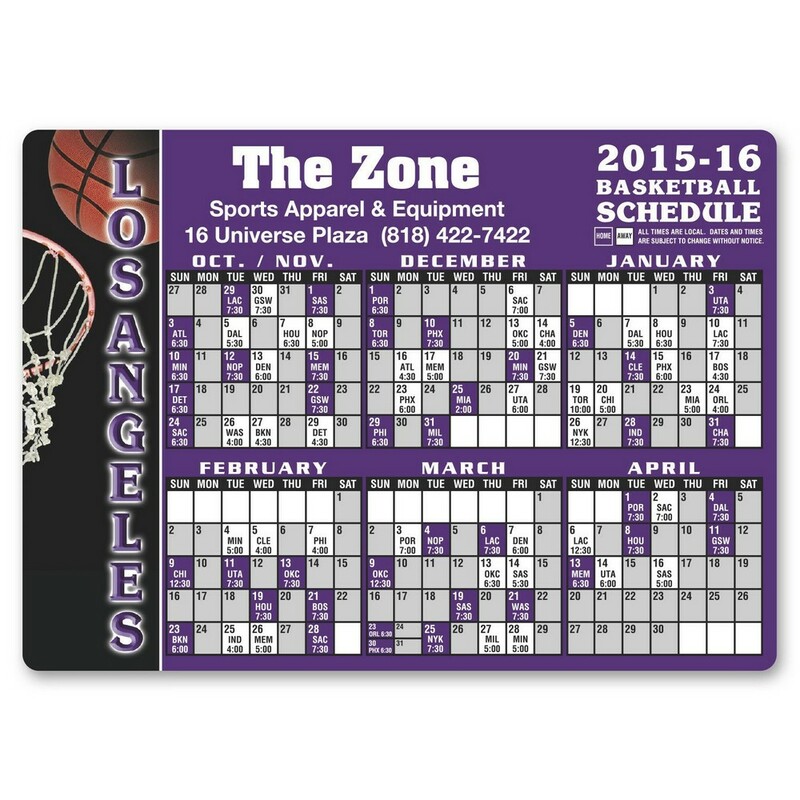 Dimensions: 4.13 " x 5.75 " x .01 "
Imprint area: 13/18" x 4 1/2"
Score a perfect three pointer in upcoming marketing events with the Basketball Schedule Sports Magnet. It comes with all pro sport team schedules. This eco-friendly magnet is a by-product of iron oxide created during the steel making process, and therefore, recycled material. Add your company’s name, logo, contact information, and your local team’s schedule to these innovative magnets for a cost effective way to get your brand noticed by the masses. It is also a perfect giveaway for athletic associations and corporate and community sporting events.